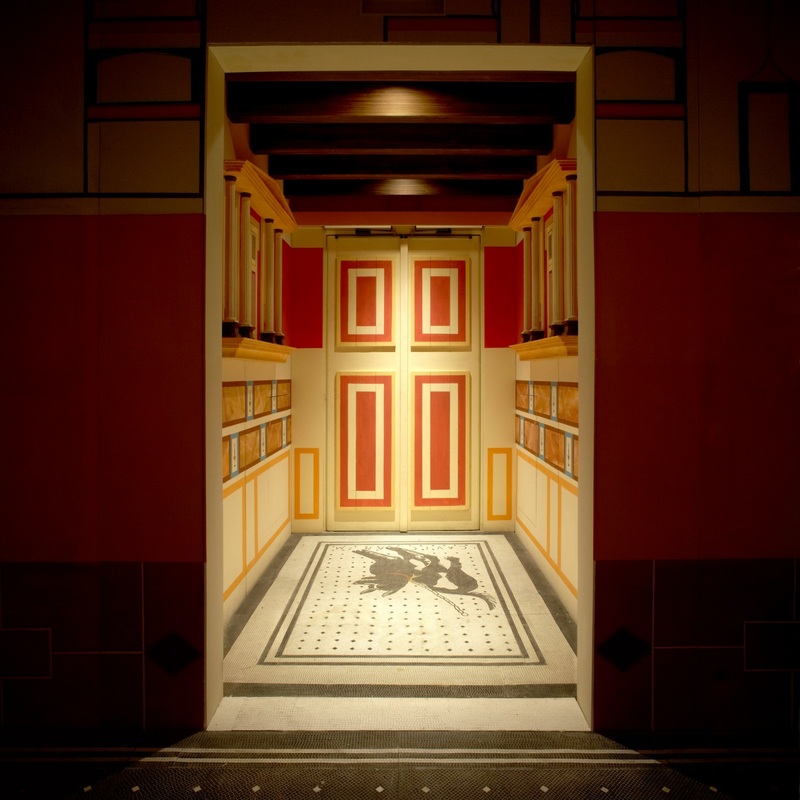 This travelling exhibition recreates a street and a Roman domus; it transports visitors into the atmosphere of daily life in the civilization that dominated the Mediterranean for centuries. 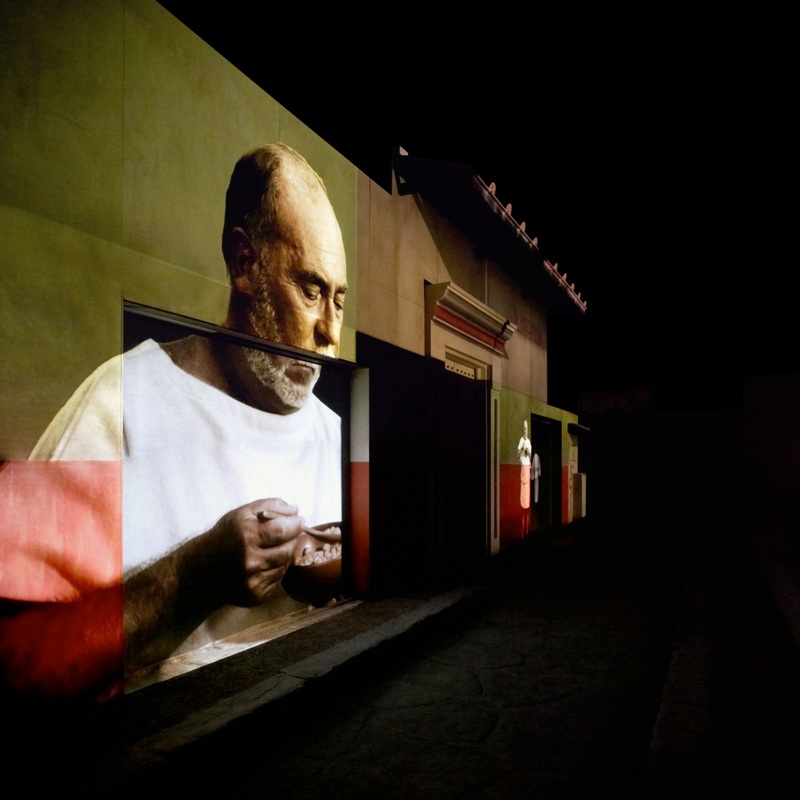 The traveling exhibition Romanorum Vita was conceived to recreate the experience of living in ancient Rome through sets and the play of projections and audio-visual displays shot on a television set specifically for this project. 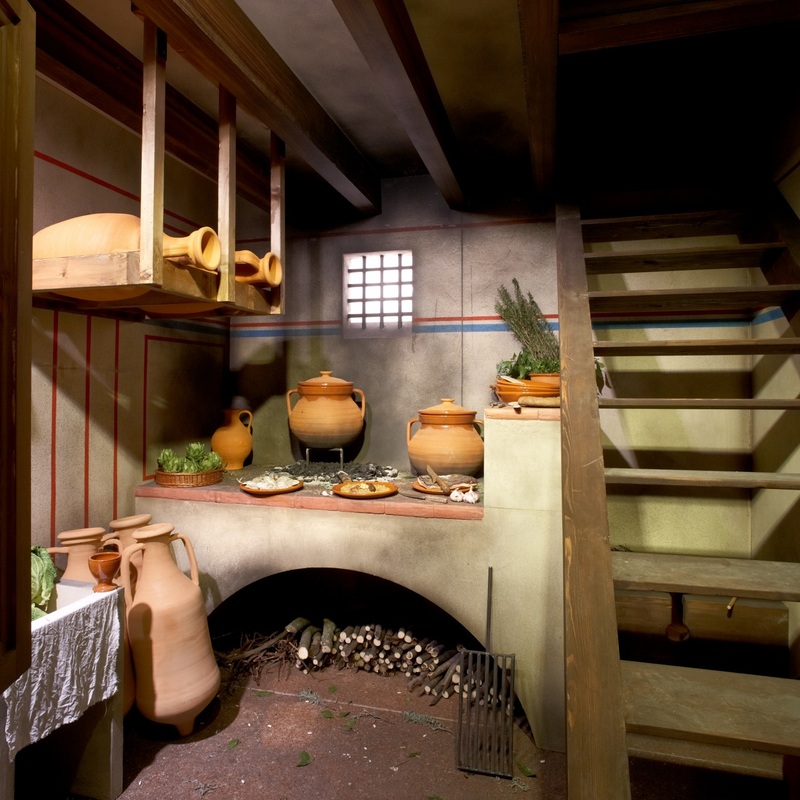 A Roman street was recreated on a one-to-one scale, including shops and latrines. 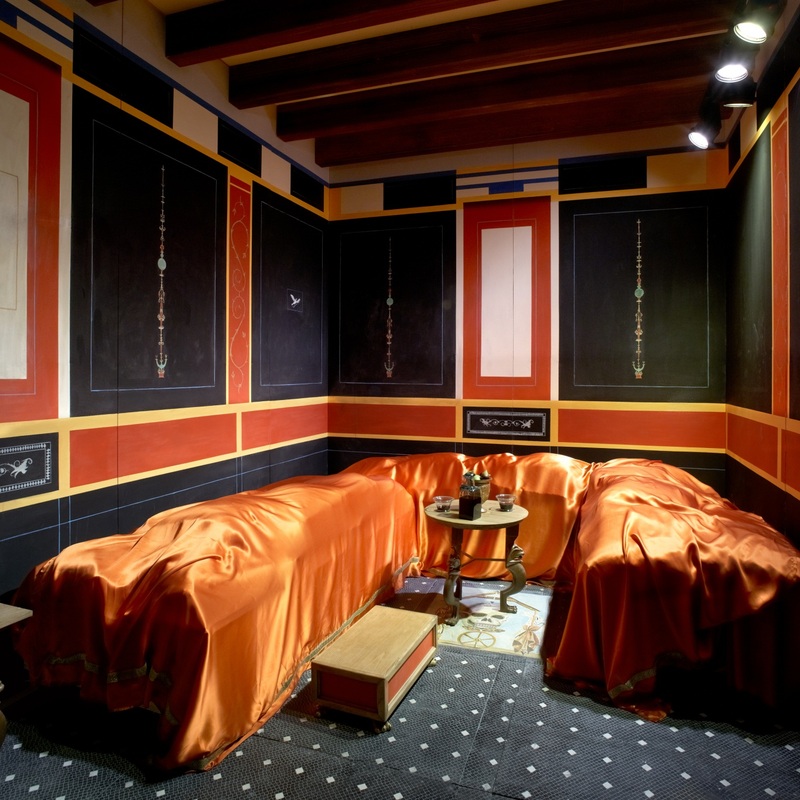 In the next room the visitors take a seat, and an audio-visual display is projected onto the façade of a traditional Roman domus, which describes daily life in a Roman city. At the end of this audio-visual presentation, two tulles become transparent to reveal the interiors of an inn and a mill. 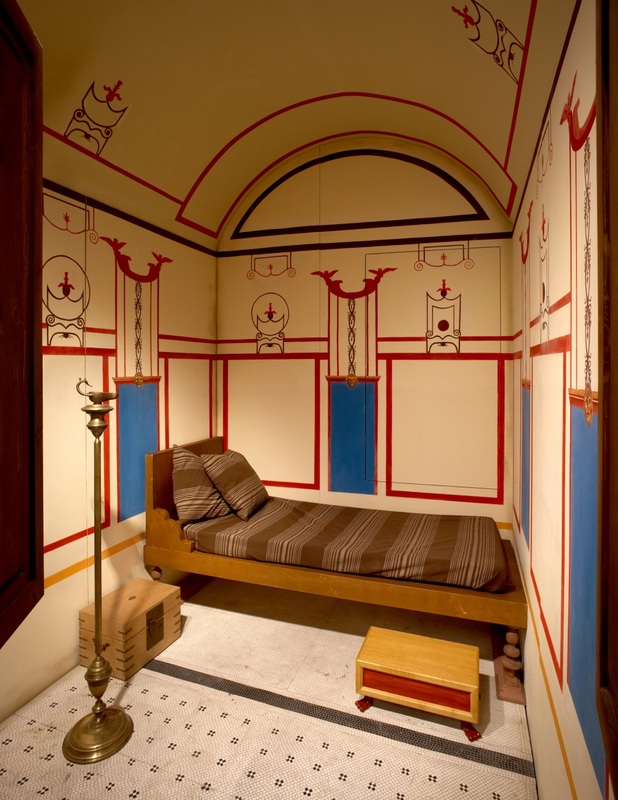 Then visitors can enter into the domus through the central atrium and explore various rooms. 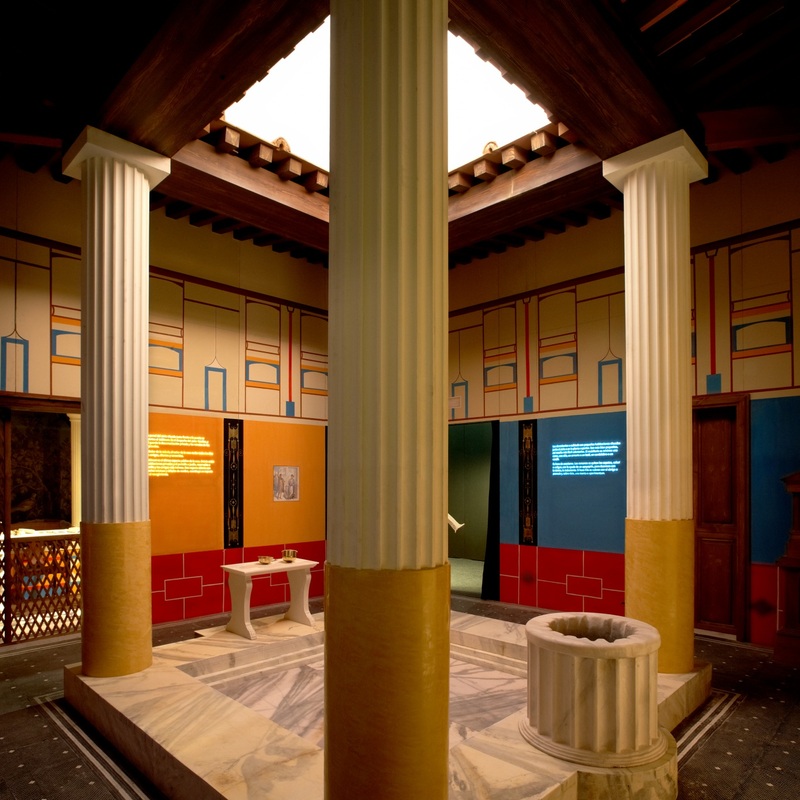 The virtual models and recordings were created under the strict supervision of specialists in archaeology and ancient history from Rovira i Virgili University (URV). To dynamize the exposition narrative, our studio developed a technology based on explanatory texts that "appear" when a visitor approaches them. 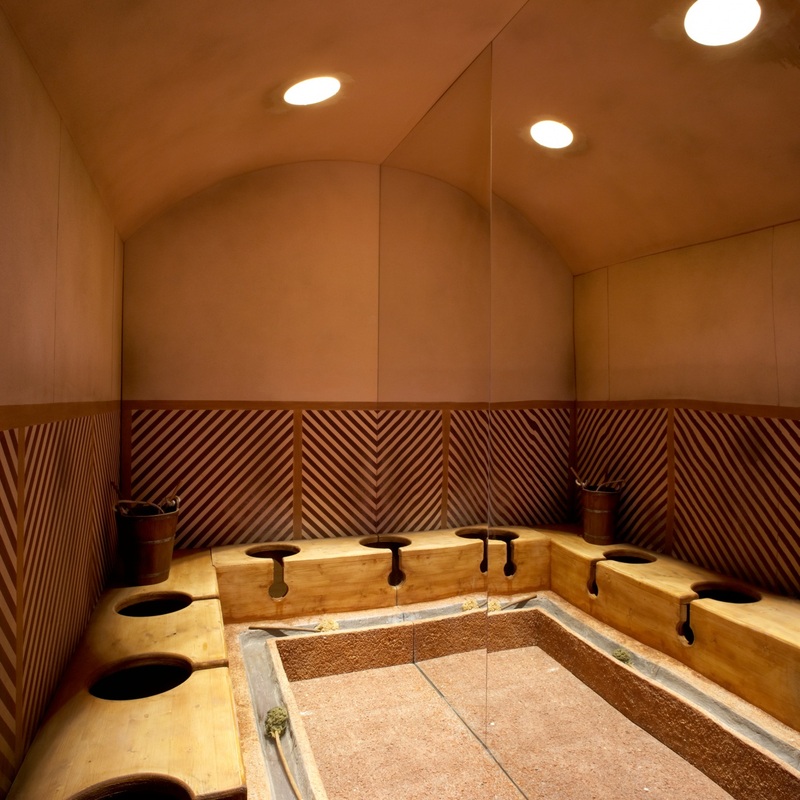 In addition, to complement the experience of this trip into the past, there were olfactory points that reproduced the smells of latrines, of bread baking, and of the kitchen and garden inside the domus. At its first stop, in Zaragoza, this exhibition received a record 30,000 visitors.